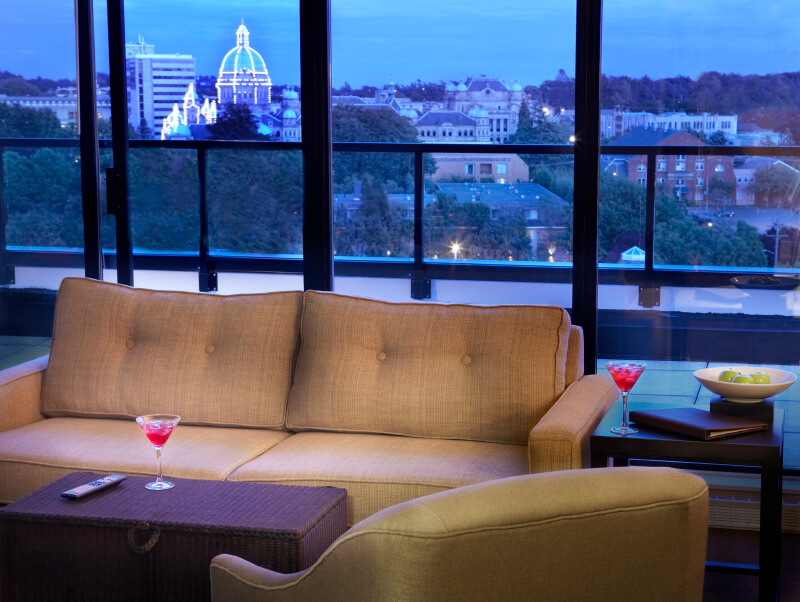 The Oswego Hotel offers four star accommodation in British Colombia’s capital city of Victoria. 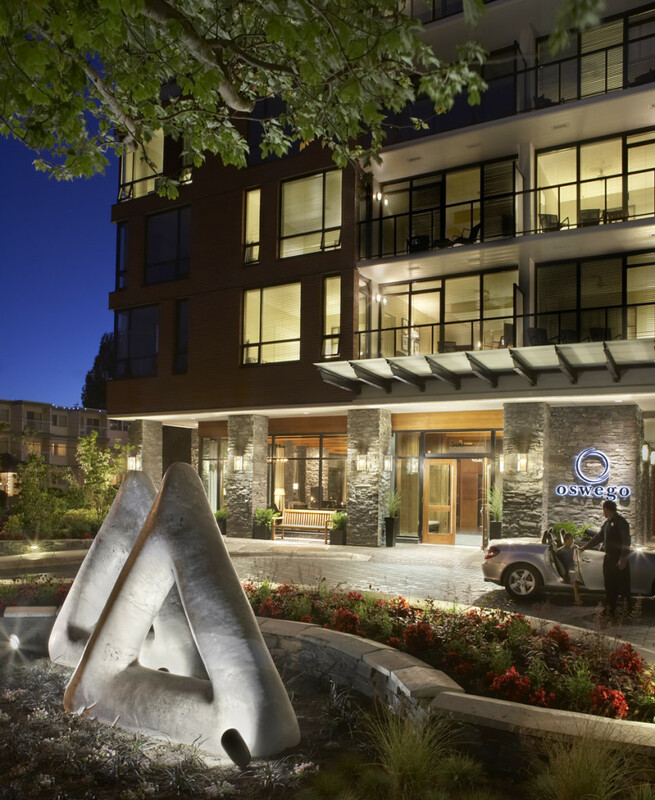 Located in the residential neighbourhood of James Bay, this unique hotel offers an eclectic mix of rugged West Coast and contemporary design. 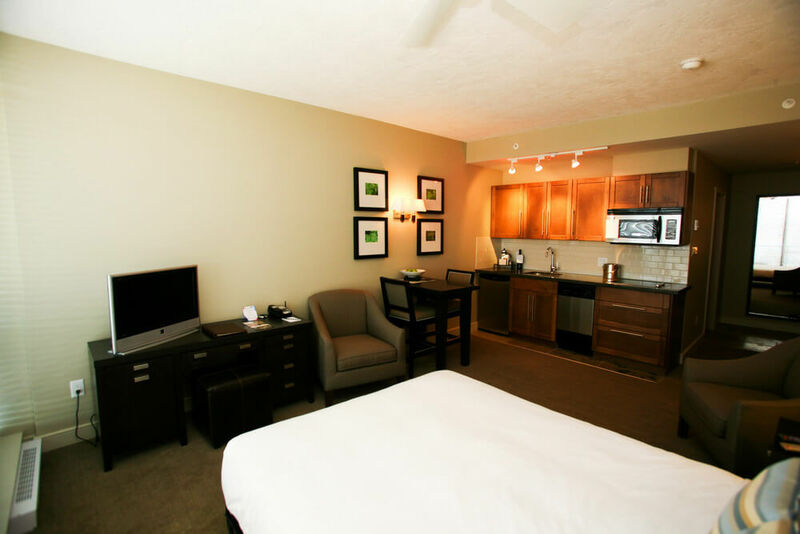 The hotel features eighty Studios, One Bedroom Suites, twelve Two Bedroom Suites and Three Two Bedroom Penthouse Suites, all with queen beds and most with additional sofa beds. These unique Victoria accommodations all come complete with full kitchens, beautifully appointed bathrooms and comfortable living spaces. 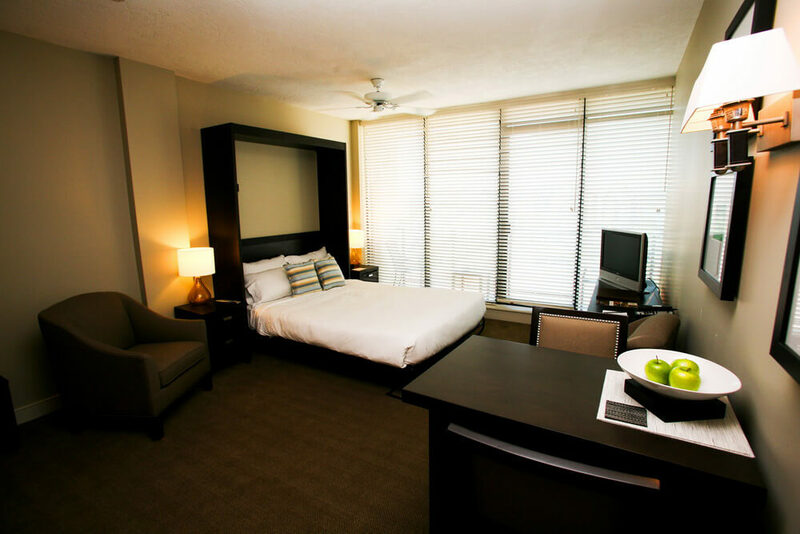 All feature large windows for plenty of natural light and views of the harbour, mountains or city. 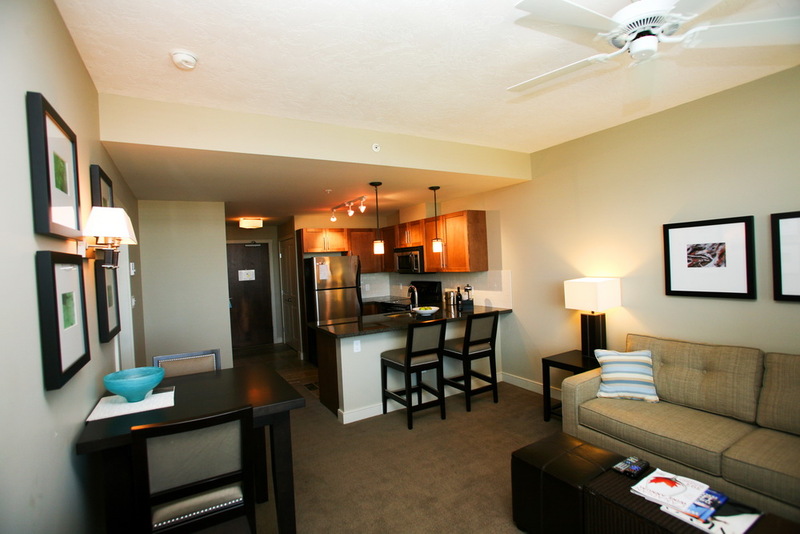 Most feature large furnished balconies. The hotel has a casual, contemporary restaurant serving signature dishes prepared using local ingredients.